Rocking their new Spurt caps and goggles. Acacias goggles have a slight tint but she can still see clearly through them. 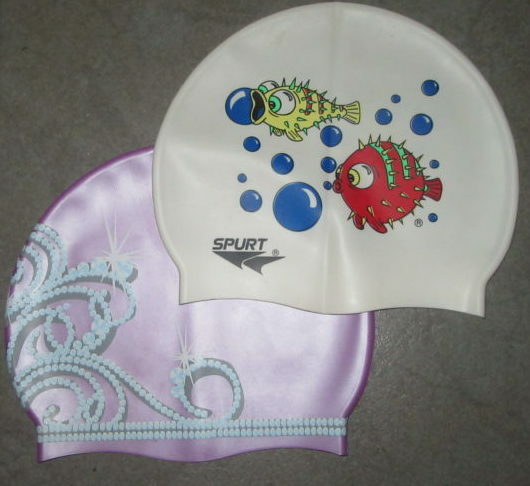 A few hours before the children’s swimming lesson on Monday an exciting delivery arrived from Spurt Swimming Gear. Perfect timing! Their existing caps and goggles were overdue for replacement. I can’t remember where the old goggles came from but Fjord’s had badly scratched black lenses which he struggled to see through and Acacia’s had a single strap which didn’t hold them comfortably in position. They always had to be quite tight to keep sealed and I found the red rings around her eyes after swimming quite disturbing. Our swimming teacher at Ann’s Aqua Tots, sells Spurt products at the swim school and when I told her about our Spurt goodies she said “Their quality is the best!” The children loved swimming with their new gear. There are cheaper brands on the market, but I will not compromise again. When buying goggles for a 9 or 10 year old, I would suggest going for an adult size, Fjord is a very slightly built 10 year old boy and the kids pair which he was given only just fit on the biggest size setting, they won’t fit him for long. They look fantastic. So pleased the children are still enjoying swimming.